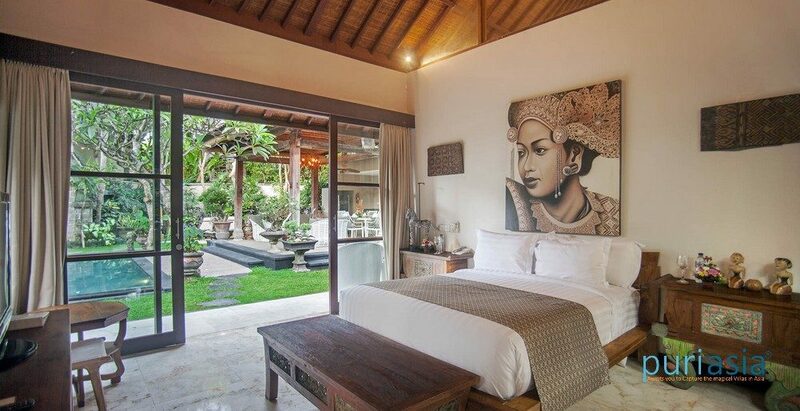 Situated on the southern shores of Canggu, in the beautiful island of Bali, Indonesia. 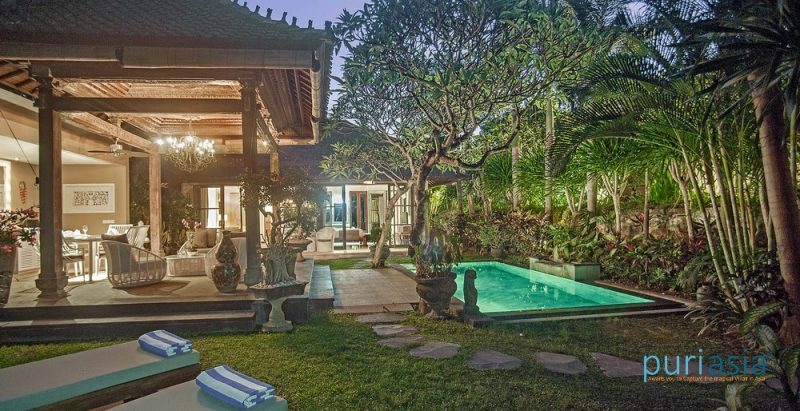 Villa Avalon is one of the most spacious 7-bedroom luxurious Canggu Villas catering to different preferences and needs of the guests. 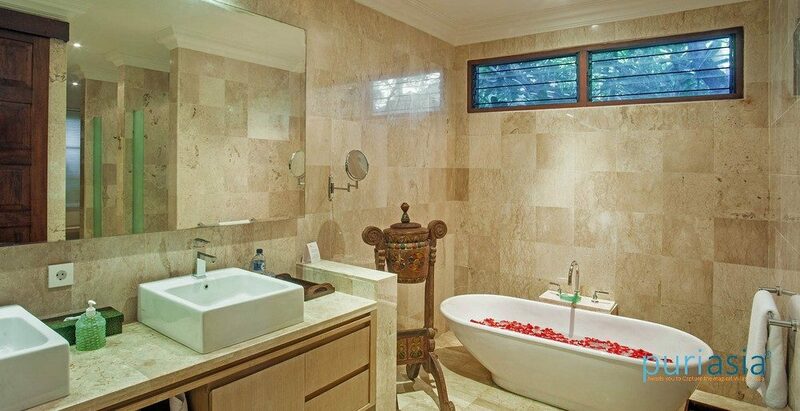 Our property features a 4-bedroom main villa, a self-contained 2-bedroom guesthouse, and a newly built 1-bedroom luxury villa each comes with private pool. 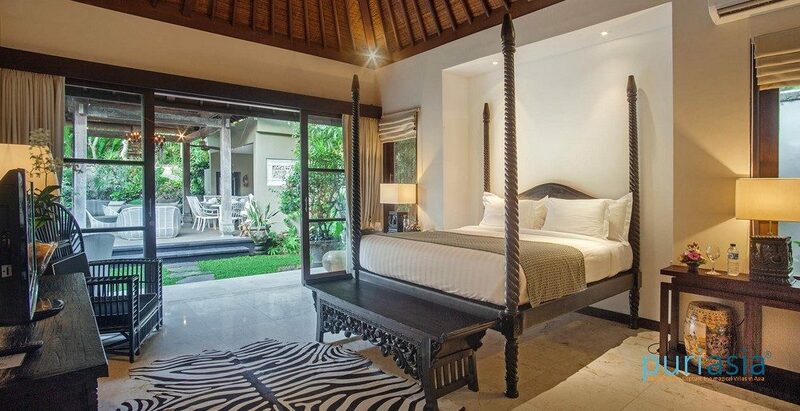 To provide our guests with the best family holiday stay, we are open to different rental configuration, featuring your choice of 7-bedroom, 6-bedroom, 5-bedroom, 4-bedroom, 2-bedroom or 1-bedroom villa depending on your needs respectively. Such configuration makes it reasonable for the budget as well as the use of the property’s spacious areas and also enabling guests to have ideal family villas in Bali. It is all roomy with the interior setting, producing a cozy living atmosphere and a feeling of freedom of movement during your exciting family vacation. 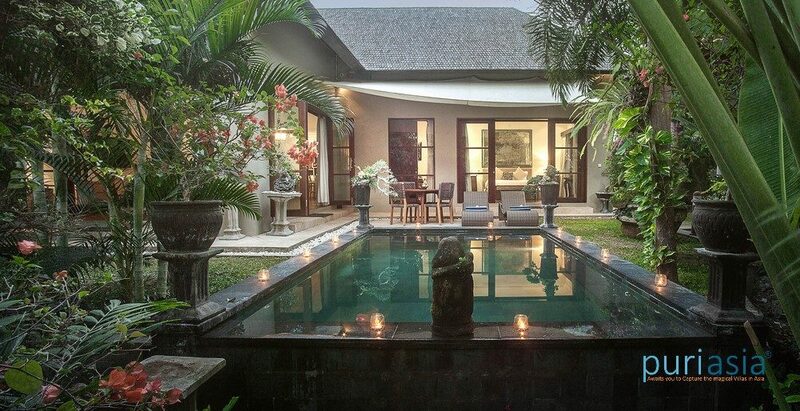 The outdoor arrangement of our Bali luxury villas optimizes the property’s length and width, furnished with lush, comely gardens, perfect for many various functions; a deluxe wedding, family celebration, festive birthday, or exclusive in-villa parties. 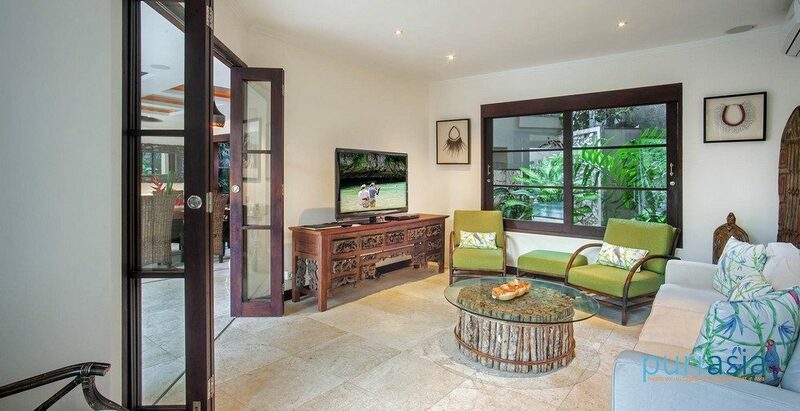 Feel the joy of complete package of bedroom suites, lounging areas, shady green garden, private pools and gracious people around. See how intimacy meets beauty. Villa Avalon is nestled in emerald greens of terraced rice paddies, and has the privilege of having the sounds of the wildlife and waves from the beach 24 hours a day, 7 days a week. 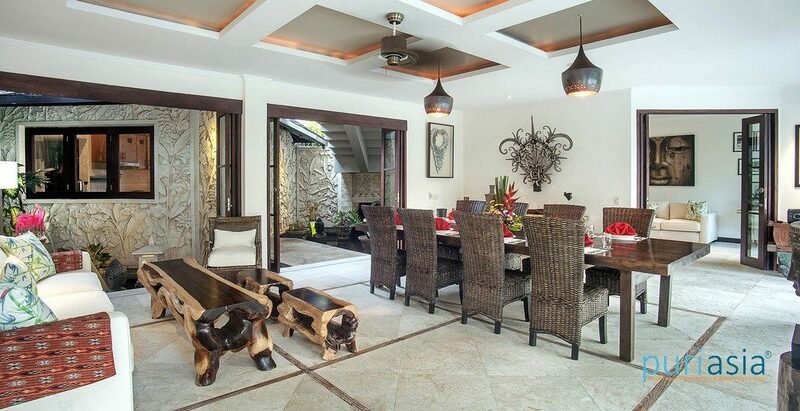 Its interior furnishings and design magically blend into the natural surroundings. 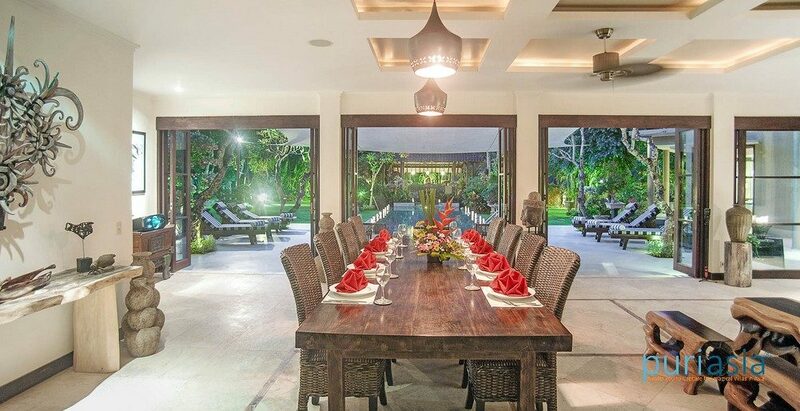 It effectively harnesses the gifts of nature and combines it with modern comforts, thus, making it a prefect venue for hosting special occasions like weddings, birthdays, company outings, and most of all, a one-of-a-kind hideaway paradise in luxury and style. 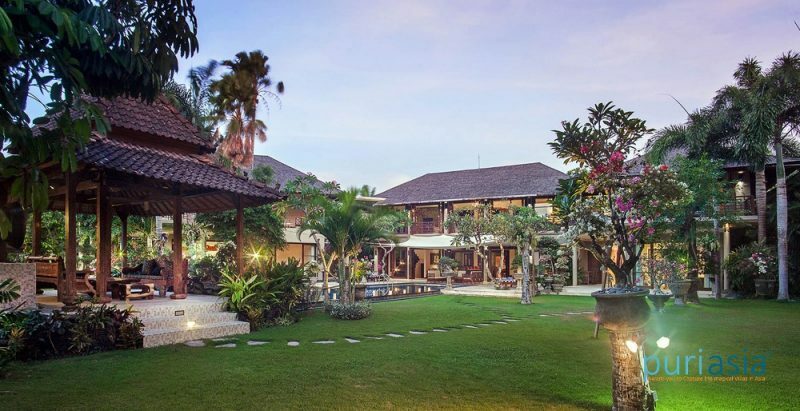 Villa Avalon is strategically located just a few meters away from Berawa Beach, perfect for surfing and other beach activities like swimming, beach volleyball, picnics, or simply basking in the sun. The sea is abundant with coral reef sand it is home to a diverse selection of marine life. Avalon I’s four air-conditioned bedrooms provide sumptuous sleeping space for from 8 to 14 adults in two separate pavilions. Each has a sitting area with TV and DVD player, and top-of-range mattresses dressed with plump pillows, snuggle-into duvets and crisp cotton bedlinen. 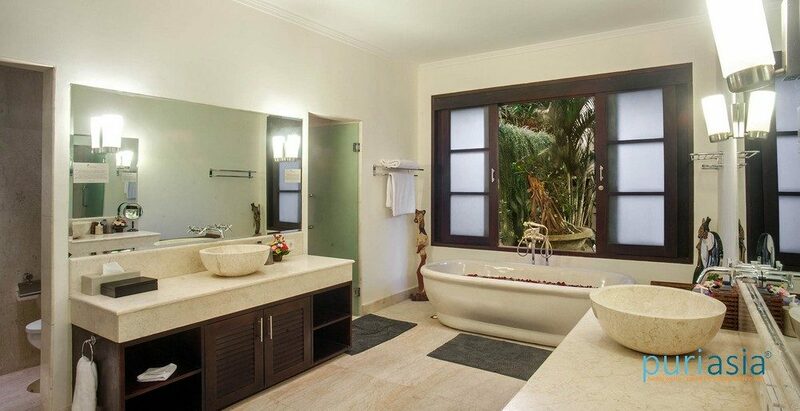 The two master suites are opulent in size, décor and facilities. 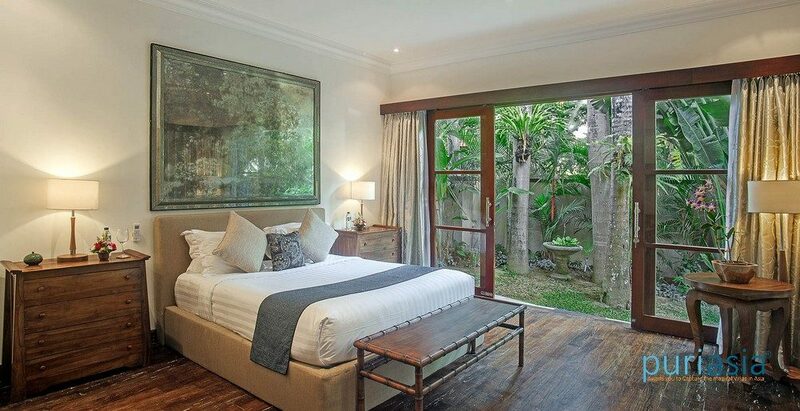 Each comprises a large bedroom opening onto a huge shaded terrace on two sides with breakfast area and daybed, and an adjoining sitting room (where the sofas can be set up as two additional beds). Four-poster king-size beds and statement antique tables resting on polished teakwood floors help create a palatial sanctuary. The glamour continues into the air-conditioned bathrooms which feature statement bathtub, impressive twin marble vanities, rain shower enclosure and a huge walk-in air-conditioned wardrobe. 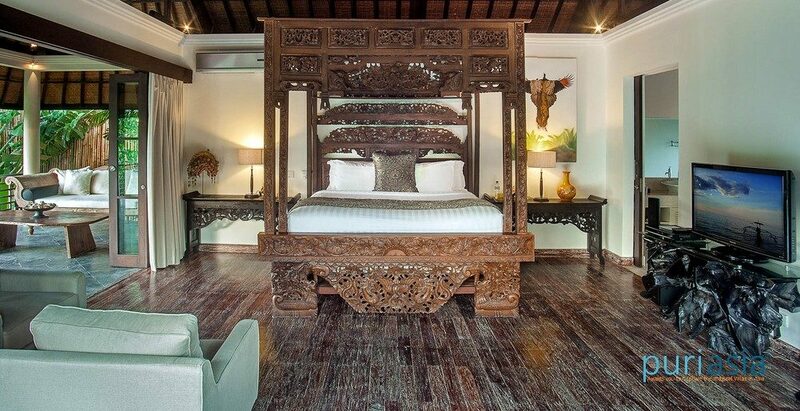 The high vaulted ceiling of the sleeping pavilion give both bedrooms – one with a king-size bed, the other a queen – a theatrical sense of space, heightened by handsome furnishings and arresting Balinese paintings. 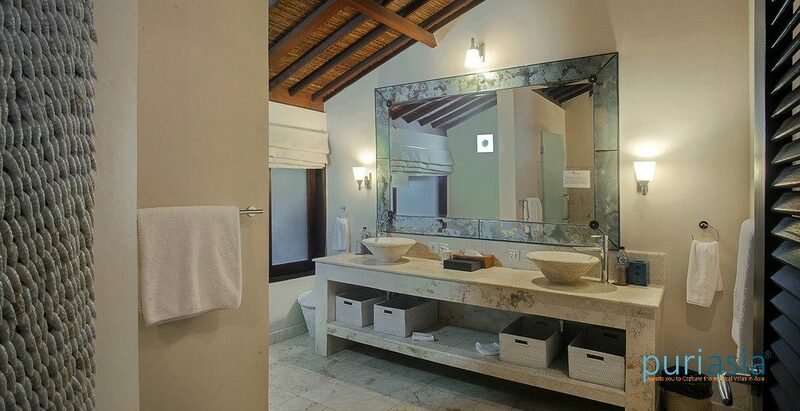 Granite basins and walk-in rain showers add glamour to both ensuites and there’s generous wardrobe space for the nattiest holiday packer. Avalon III provides the perfect sanctuary for a couple who value extra privacy. 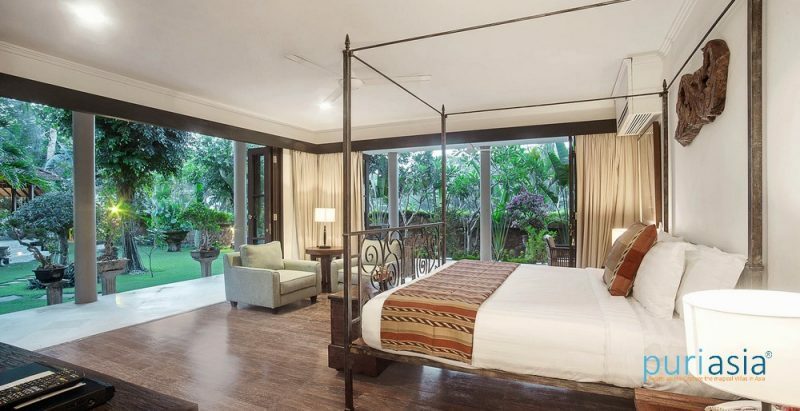 Accessed via a small lobby off the living room, the bedroom features a queen-size bed and small seating area facing the pool terrace beyond a wall of glass double doors. Alongside is a positively palatial L-shaped ensuite bathroom, with twin basins, statement bathtub, rain shower enclosure, and a separate dressing room and walk-in wardrobe. 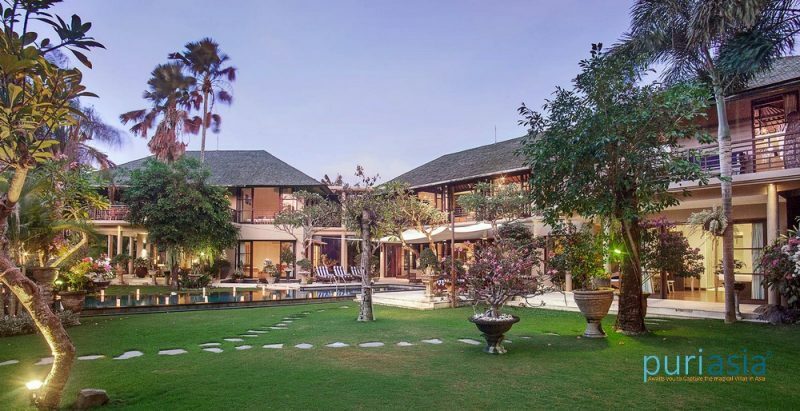 The living pavilion is formed from the four-pillar heart of a historic teakwood joglo from Java and its ornately carved ceiling is a treat to behold. 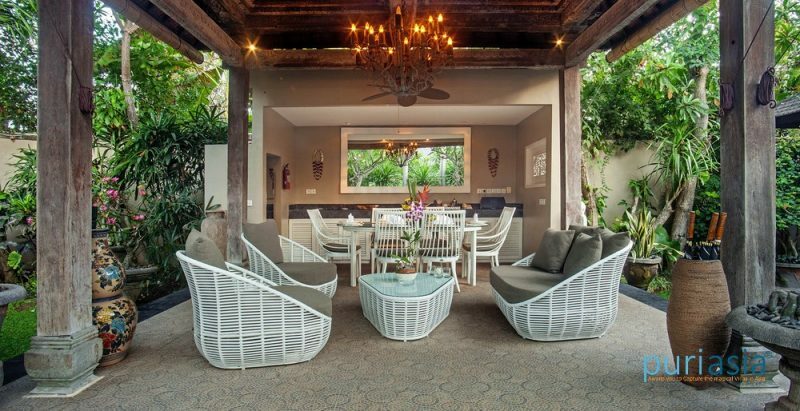 Under a statement chandelier an all-weather rattan table accords semi-alfresco dining for six; meals can be prepared by the estate chef, or whipped up in the well-equipped kitchenette. 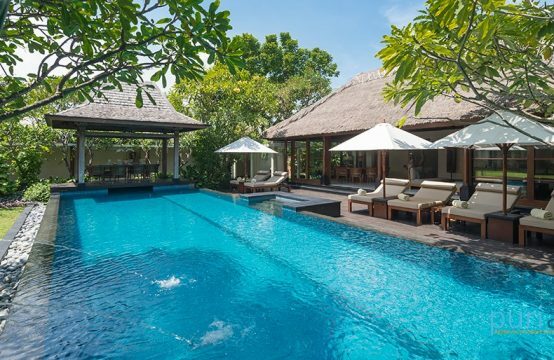 Comfortable chairs invite afternoon siestas – though poolside sun loungers may be preferred by those seeking a holiday tan. 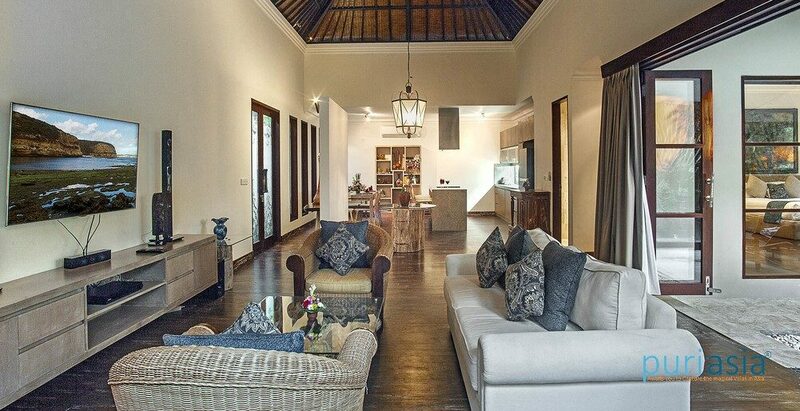 Avalon III’s light-filled open-plan living room with vaulted ceiling is unusually large for a one-bedroom villa. At one end, set before double doors that open onto the sun-trap pool terrace, comfortably upholstered sofa and chairs are grouped around a glass-topped coffee table before the 42-inch TV with home theatre system. 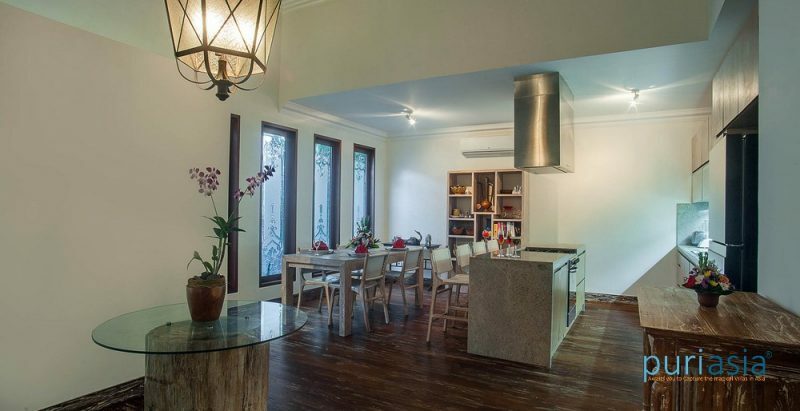 At the other end, a marble-topped counter with sit-up bar separates the beautifully equipped kitchen from the dining area, where four white leather chairs are set around a formal table. Capacity for 14 adults (7 ensuite bedrooms). Seven daybeds available as extra beds on request for a small extra charge. Open-sided sitting room; air-conditioned media room; indoor dining for 14; outdoor dining for 8; pool deck; multiple bedroom terraces; poolside joglo with seating; garden gladak. Living and dining room in one-bedroom villa, and open-sided living pavilion in two-bedroom villa. Pool 15m x 5m; 7m x 4m; 5m x 3m. A variety of Indonesian and international dishes prepared from a suggestion menu. Requests accommodated (including special diets). 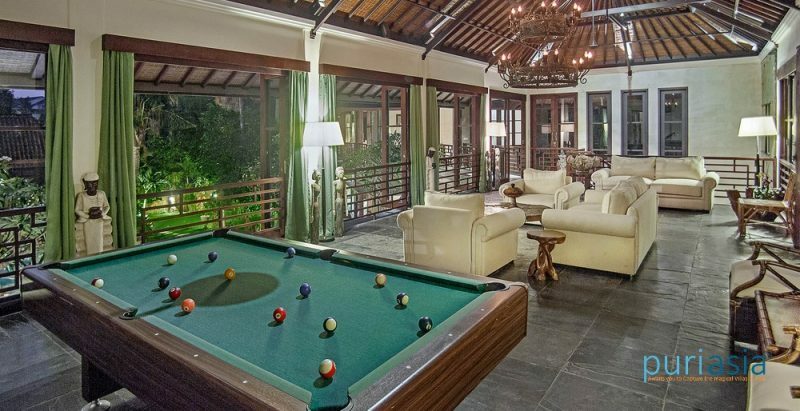 52-inch flat-screen TV and DVD player in media room; 37-inch or 42-inch flat-screen TVs and DVD players in every bedroom – all with satellite channels; music system with three music zones covering the dining hall, living room and poolside joglo; books and puzzles; pool table. 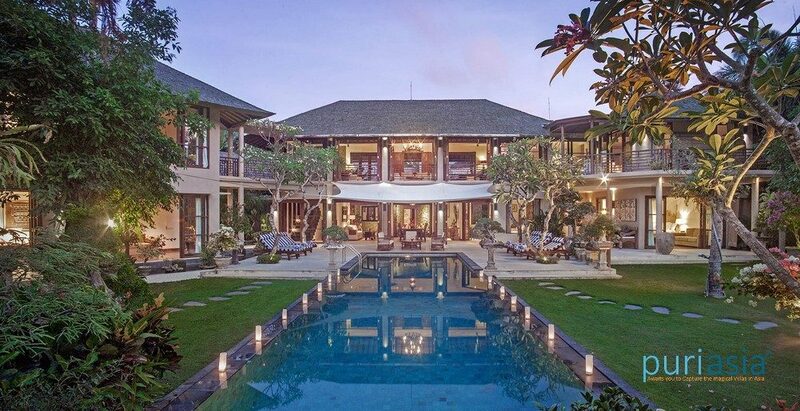 Events for up to 100 guests may be held at the villa, with advance notice.